After receiving her schizophrenic Uncle Bob's manuscript, Sandra Allen uses his autobiographical work as a creative nonfiction piece and tracks his descent into mental illness. The book toggles between Bob’s memoir and Allen’s research. She does not reproduce her uncle’s prose verbatim, which apparently would be unreadable. Instead, she translates it into proper English, preserving occasional all caps and some of the odd spellings and punctuations, perhaps to give a flavor of the original. 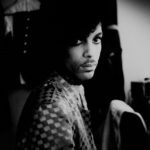 But we lose something in not seeing those tobacco-browned pages as they are; we get, instead, a rewritten diary that sounds, well, perfectly sane ...Bob never seems scary or dangerous, and perhaps this book will help readers understand that mental illness does not automatically turn people into murderers. Bob is endearing, fascinating and, almost certainly, exhausting — for himself and his family ... She interviews Bob’s parents and stepparents, and even when they disagree she draws no conclusions, just relates their differing perspectives flatly. At the end of the book she seems as conflicted about Bob’s memoir as she was at the beginning. ...a miraculous paradise... The memoir is a series of stories that explain how Bob arrived to his adulthood. At some points, it is anecdotal, and at others, it seems to be a retaliation against the way society treats the mentally ill, specifically paranoid schizophrenics ...Allen painstakingly pieces together a conversation about Uncle Bob in her own words, through history and research, and through conversations with other family members ... Early in the book, Allen admits she is no expert on schizophrenia, but she is able to execute a chaotic story with intriguing clarity ... Because of the wide array of information and emotion this book includes, it presents the kind of conversation that goes on forever. But among the endless opportunities for discussion, one thing is concrete and that is Uncle Bob’s love for Allen ... The way the book is organized reflects Allen’s experience: the ability to meet a book with skepticism and find much to be admired. Allen marries several distinct genres to produce an insight into what it means to be a person with a psychiatric diagnosis—as opposed to a novelist toying with the boundaries of thought ... It’s a gorgeous piece of writing. But it’s such an ambiguous project—a creative adaptation of an unconventional memoir—that it cries out for explication of some kind. Because both sections of the book are interpretations of this project by Allen—one written in accessible nonfiction style, the other avant-garde and strange—the reader ends up with two types of mediation. Hovering over the book like a ghost is the 'original' Bob-story. I lusted after the original, to compare Allen’s work to the thing she kept in a drawer ... But those very flaws ask broader questions of the meta-biography genre: what it is, where it’s going, the conventions which govern its editing. In that respect, the 'book about Bob' that forms the core of A Kind of Mirraculas Paradise is a watershed in empathetic adaptation of 'outsider' autobiography. 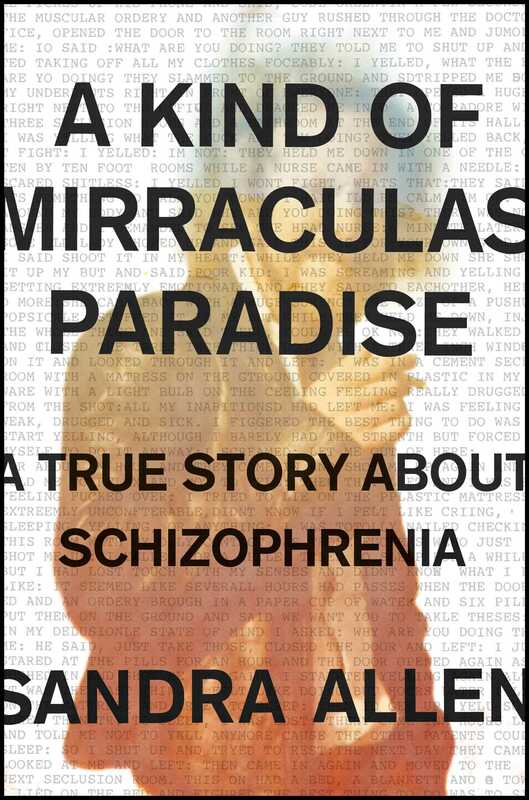 What did you think of A Kind of Mirraculas Paradise: A True Story About Schizophrenia?